The cool, dark weather is here but there’s brightness everywhere. It’s the holidays after all, and there are lots of ways to lift the spirits at this time of year from twinkly lights to festive outings and even snow if you head to the North Shore and beyond. Here are are few family-friendly holiday picks sure to put a smile on your face. 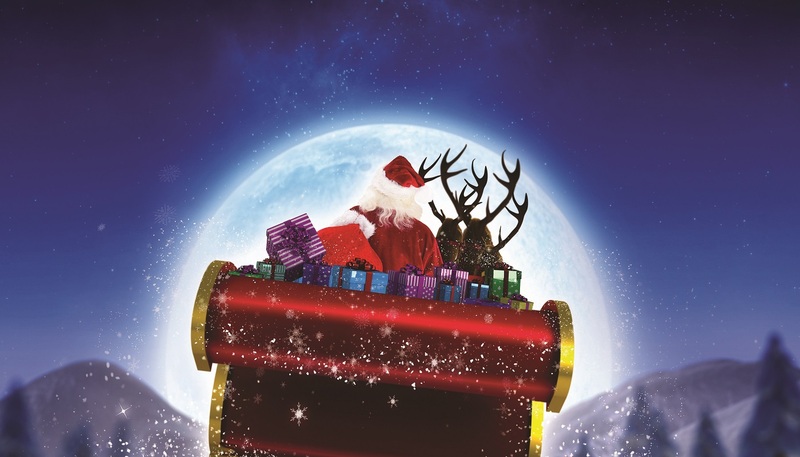 And be sure to check out our Top 100 Holiday activities list! Who doesn’t want to get into the snow at this time of year? The Sea to Sky Gondola in Squamish offers incredible mountain views as well as loads of holiday fun for the the kids. Explore the decorated holiday trail through the month of December. Lined with lights and whimsical decorations, the Spirit Trail gets transformed into a winter wonderland. Plus it’s wheelchair and stroller trail friendly, and leads guests back to the Summit Lodge where you can warm up with hot cocoa by the fire. Imagine skating surrounded by lights and in the heart of downtown. As one of Vancouver’s only guaranteed outdoor skating rinks (unless we have a freeze up like last year! ), this is a must-go this holiday season. Skating is free and skate rentals are $4. Last year, it was Enchant and this year, it’s Glow! This new glittering display takes place at the Milner Garden Centre in Langley with 103,000 square feet of lights including four Christmas-themed light gardens and a musical light tunnel. Kids can help Santa locate his lost presents scattered throughout the light gardens while parents amble through the Christmas market. Food vendors, real drinks, and food trucks are all on hand. PS: It’s all indoors so no need to pack an umbrella! Whether its a classic like the Goh Ballet’s Nutcracker, the madcap shenanigans of the panto or a wintry production of the Lion the Witch and Wardrobe the hols are the perfect time to head out as a family to see a live performance. Join the homemade revolution. The Make it! show and market at the PNE features clothing, accessories, art, home decor, gourmet goodies, baby and kid items and other unique treasures. Plus, food trucks and a beer garden to get you in the festive spirit. Sold! Whether it was the solar eclipse in August or the end of the Saturn Cassini mission, there were a lot of spectacular astronomical events in 2017. During the holiday week, the Space Centre will celebrate with a special craft every day. Kids will be making everything from comets to origami spaceships and even black holes. And the Space Centre shows will highlight some of last year’s memorable events.